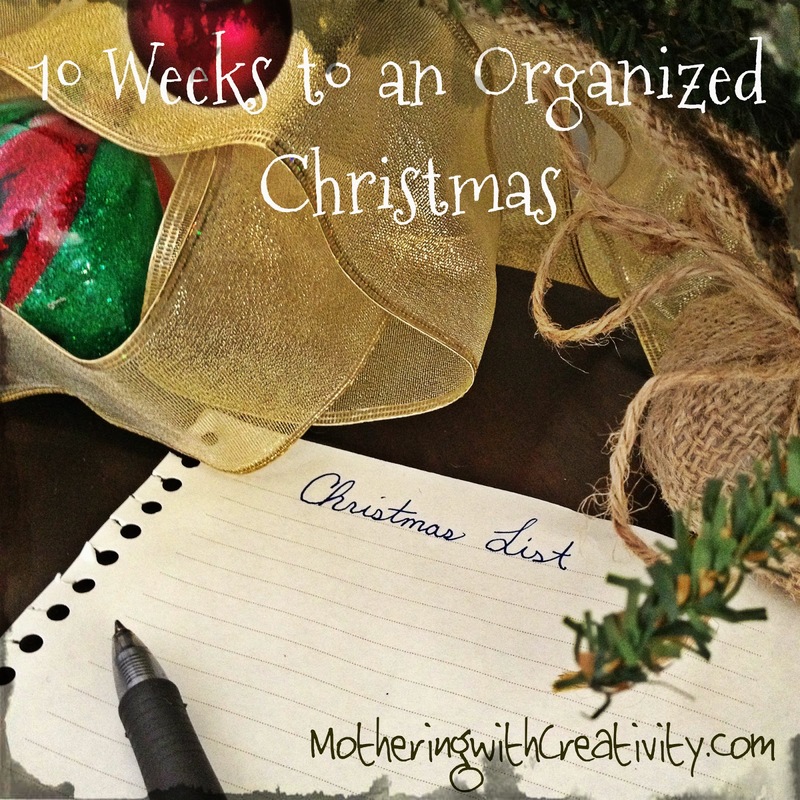 I hope you've been enjoying the 10 Weeks to an Organized Christmas series. The goal of this series is to help you plan, prepare, organize, budget, create, clean, and decorate for a fun, relaxing, enjoyable Christmas. There are a variety of posts in this series. To see all of them, visit right HERE. 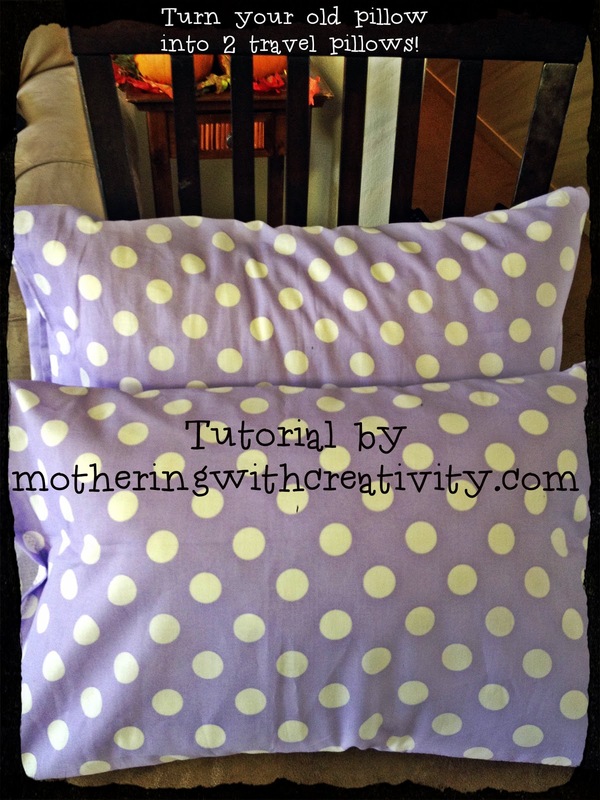 This is a tutorial for Homemade Travel Pillows. I love the feeling of giving or receiving gifts that were hand made Since my budget is rather small this Christmas, I am trying to be creative in gift-making. We are heading to Disneyland next month, and while I was thinking of all the things we typically need on an 8 hour road trip with three kids 5 and under (gulp), I thought of pillows. 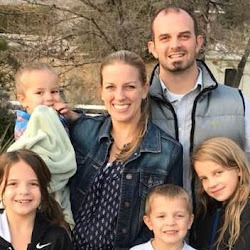 Have you ever tried to load three kids in the car with all their travel stuff, blankets, activities, food, and those big, bulky pillows? I have, and it's silly. I had this brilliant idea (yes, I'm claiming brilliancy on this one) to cut an unused pillow in half and create two smaller pillows for my girls. This will in essence, be an early Christmas gift. These are also perfect for kids who nap at preschool and the like. Next, you are going to want to sew those pillows shut. It doesn't have to be perfect. It will be inside a pillowcase, so no one will ever know ;) I used a zig-zag stitch to close them up. Next, find a fabric you like. I had some extra in my sewing closet, so I didn't have to buy anything. Loosely wrap it around your pillow to get an approximate size. Mine ended up being about 23 in. x 28 in. for each half pillow. Remember, you are only hemming ONE side! Ater you've hemmed that side (which will be your opening), fold the fabric in half, inside out. Keep those hemmed sides together. Stitch around the other two sides. Slip your pillowcase onto your mini pillows, and voila! 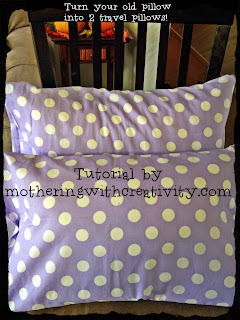 Two mini pillows, 30 minutes, $0 spent, great functional gift for my girls! Check back for more posts in this series! Now, you could also sew these shut if you so desire. You would just leave off the hem, continue with inside-out stitching, and then after turning it right-side out, you'd want to tuck the open end in and sew shut. However, if you have small kids that will be using these, having the option of washing the pillowcases is nice!